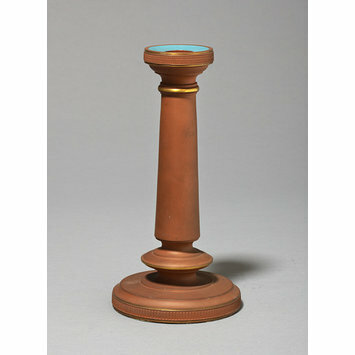 Candlestick of unglazed red earthenware painted with light blue enamel and gilded. In the form of a pillar with a wide circular base. Round the socket and base are conventional borders in relief. Given by the Watcombe Terra Cotta Clay Company. Transferred from the Museum of Practical Geology, Jermyn Street. 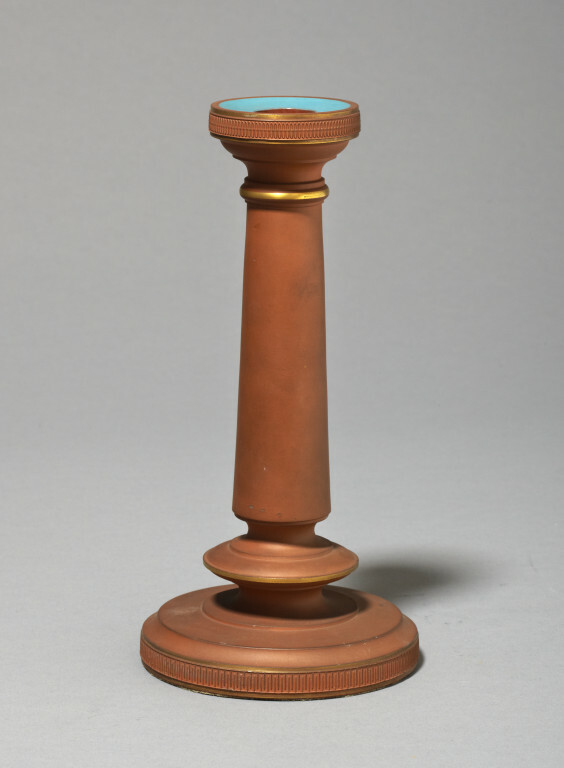 Candlestick of unglazed red earthenware painted with light blue enamel and gilded, made by Watcombe Terra-Cotta Co., Torquay, 1869-1876.